You can rest easy knowing that you’re in a select group of people that managed to get a tee they love that is almost guaranteed to be unique to you in any given situation. All of that said, we are very proud and somewhat sorry to announce that we’ve sold out of the outcast tee. 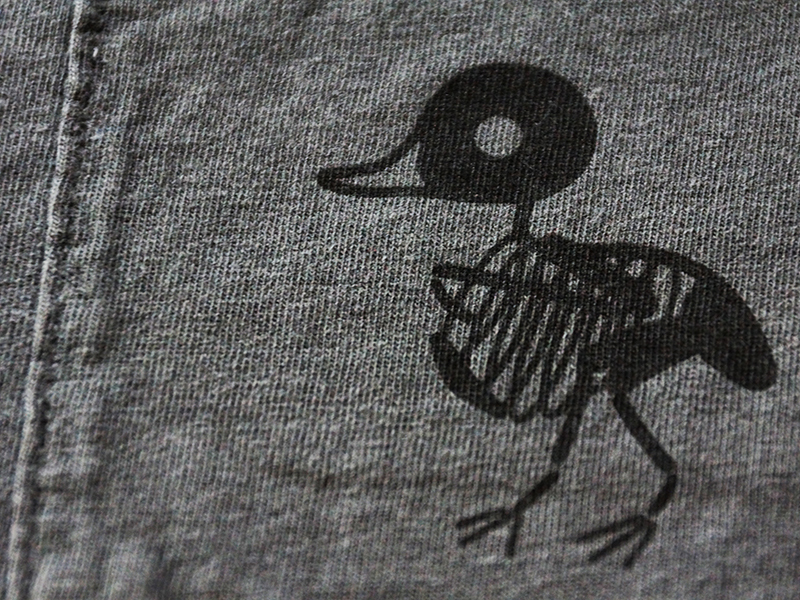 The outcast tee was part of the series called “Birds of a Feather”. 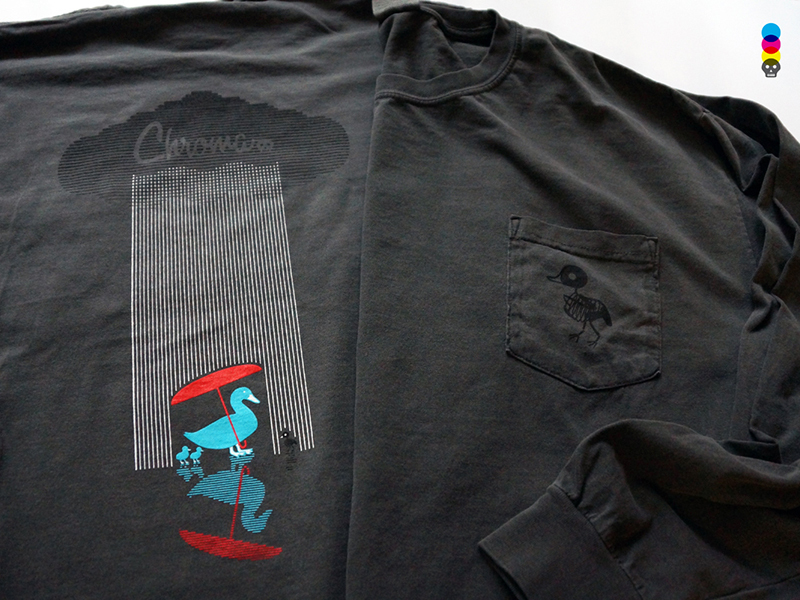 It was released simultaneously with the predator tee and was a 2-sided print, long-sleeve pocket tee. The sad little duckling left out in the rain was a part of a lot of firsts for Chroma. The tradition of cartoon-ish skeletal figues began here and reappears in many later Chroma designs. 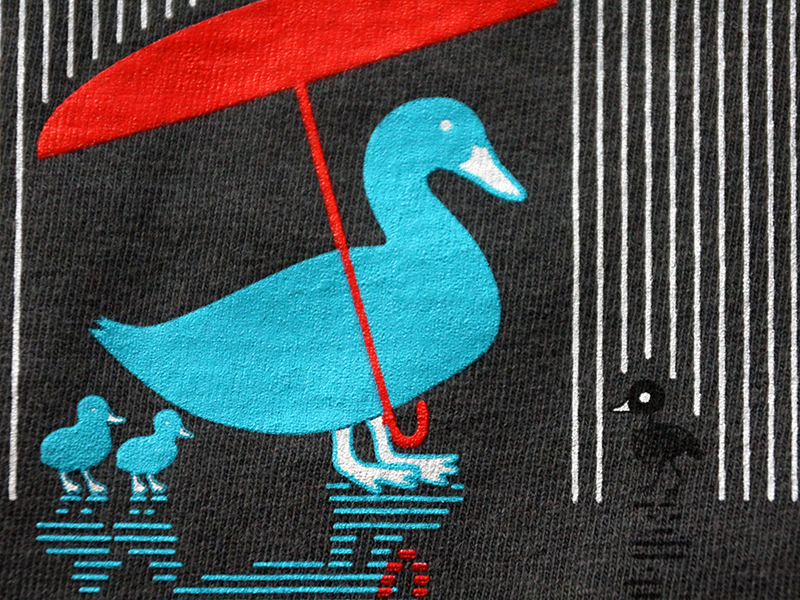 This design also features some play in linework, seen in the rain drops, clouds, and duck reflections. This appears in several Chroma designs including the predator tee, the aloha tank, the scorpion cocktail tank, and the farrah tee. While we were sad to see the last tee leave the shelves, we were thrilled and honored that so many people found the design compelling enough to buy and wear regularly. 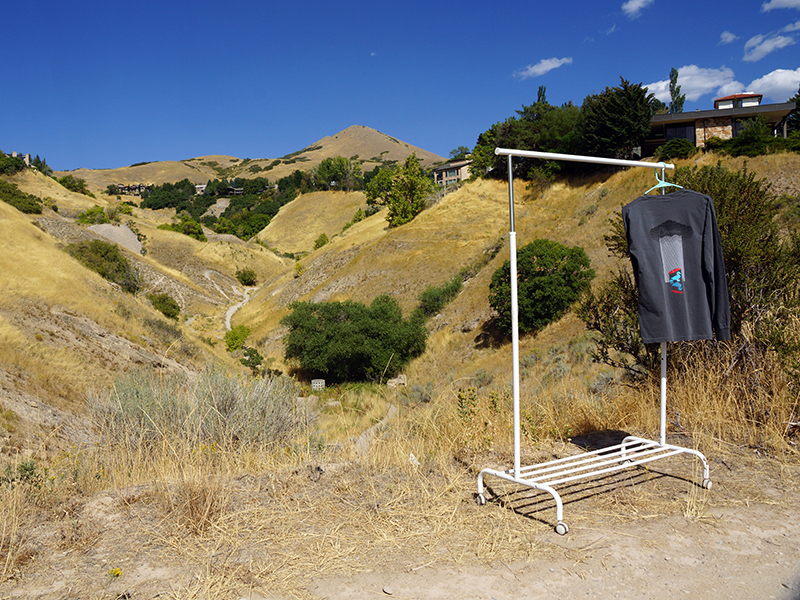 To all you lucky owners out there, thank you and take good care of your tee! It is literally one of 30 printed! So long outcast tee. Thanks for the “Awe, sad! Hahaha!” reaction you always got us. As a University of Oregon alum, I hope to bring other duck inspired designs to the press again soon.